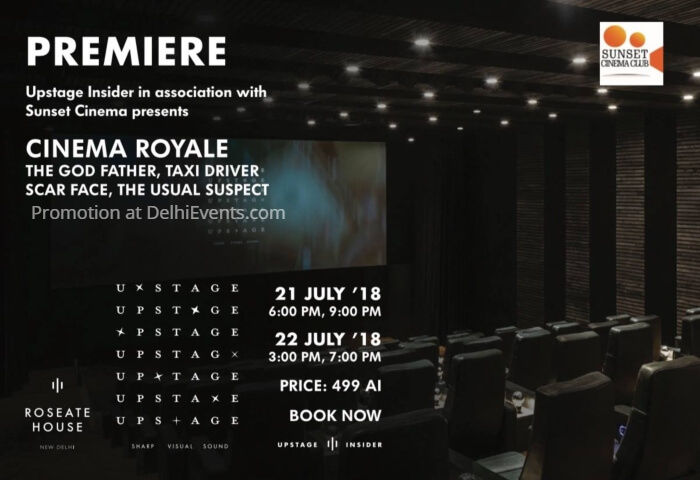 Event Description : Sunset Cinema in association with Upstage Insider presents Cinema Royale- A gratifying movie watching experience which makes you revisit films that gave cinema a new meaning and paved the way for the future. Roseate House offers you the best F&B experience* along with your favorite movies, enjoy a range of brew, sprits and soft beverages and an eclectic variety of snacks. Come Enjoy the best of Hollywood!